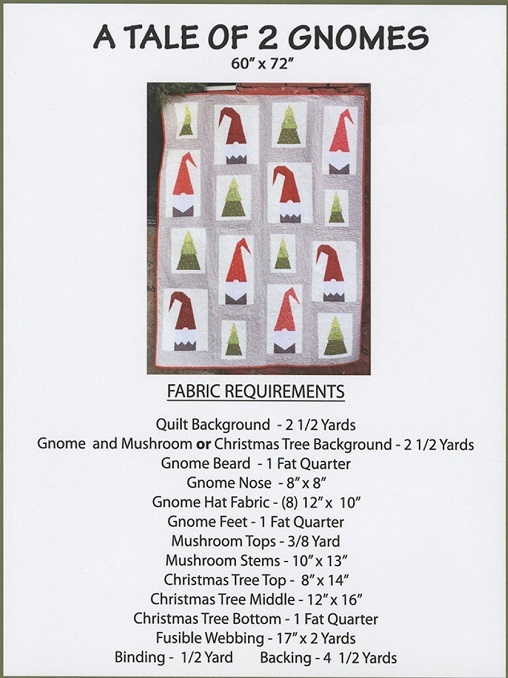 There are 2 different quilts included in this pattern. The gnomes have mushroom blocks, and for Christmas, they change to trees. The hats and noses are appliqued and the rest of the quilt is pieces. It is 60" x 72".